Get Snapping for Photography Month Sacramento in April! The Crocker Art Museum is proud to join with other museums, galleries, schools, restaurants, bars, retailers and more, in our region to celebrate the art of photography in April, 2018. Conceived by the Viewpoint Photographic Center, the inaugural year of this bi-annual event is packed with exhibits, lectures, workshops and other events in Sacramento, Placer, and Yolo counties. Get a jump on Photography Month a little early and take advantage of exclusive access to a favorite photo and video shoot location: the Crocker Art Museum! With stunning architecture and beautiful grounds as a backdrop, students 14 to 17 years old can collaborate and appreciate others as they work toward the common goal of producing a short film. Our Film Production studio art class will be held on two Wednesdays, March 26 and 30. A local new media artist with recent international exhibitions and experience teaching at CSU San Marcos, UC Santa Cruz, and Southside Art Center, instructor Natalie McKeever guides students with direct experience as part of a film crew, learning tools for ideation and organization, and handling the necessary film equipment. Learn more about this rare opportunity and register your young auteur while space is available, here. Why should kids have all the fun? 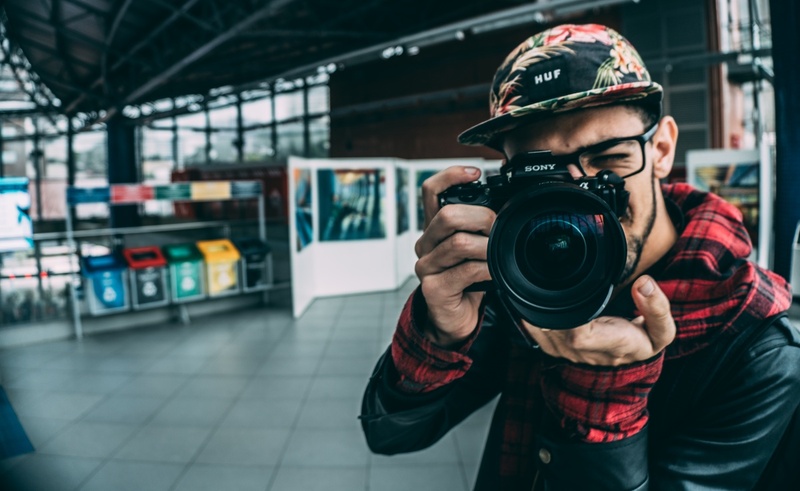 Adults looking for a deeper connection with the history and technical nuances of the art of photography should definitely check out our World Of Photography studio art class, held on three Thursdays, April 5 - 19. Instructor Terry Nathan is a professor in the Art/Science Fusion Program at the University of California, Davis, where he also teaches Photography: Bridging Art and Science. Students will hone skills in composition and context, learn about the great movements of the art and how to develop critique abilities, as well as explore the evolution of landscape photography from the 19th century to the present. Find more details and registration for this course here. Make it date night during Photography Month with dinner and a movie at the the Crocker on Thursday, April 5! Our California Fresh documentary film series comes to a close with Dorothea Lange: Grab A Hunk Of Lightning, narrated and directed by Lange’s granddaughter, filmmaker Dyanna Taylor, bringing the wide lens of Dorothea's work into full view. This film will be personally introduced by John Lightfoot, manager of the California Documentary Project, a campaign by California Humanities. Enjoy happy hour drinks and gourmet food at the Crocker Cafe prior to the screening, at 6:30 PM. Find tickets here while seats last! The pièce de résistance in our Photography Month lineup is our nightlife camera party, Photo Fête, on Thursday, April 26! Whether you are a photo-phenom or lens adverse, you'll get a click out of this entertaining evening featuring pop-up exhibits, games, Instagram scavenger hunts, selfie ops, mini-talks, diorama workshops, sneak peaks from the Museum's photo vault, and so much more. All ages are welcome to join in the fun: FREE for members or with general admission for nonmembers! Register here. The fun doesn't have to stop when April ends: our From Photo Album To Acrylic Painting class focuses on turning your landscape photos in to powerful paintings. After viewing landscape paintings in the Crocker’s collection, use your own photographs as inspiration for creating memorable landscape compositions with acrylics. This class is for adults of all experience levels, and meets on two Wednesdays, May 23 and 30, from 12 to 4 PM. Instructor Kristine Bybee is a native of Sacramento and regularly exhibits her paintings in local and regional galleries, most recently at the Pence Gallery in Davis. Sign up now here while there's still room in the cohort! Share your photography joy on social media with us by Following @CrockerArt on Instagram, and using the hashtag #PhotoMonthSac in your posts!